Our hero takes slider shots with the enlisted aid of an excited on-looker. This time on “The Jeff Blog”, we follow our hero to a football field with the help of his trusty co-worker Ryan Dumville. 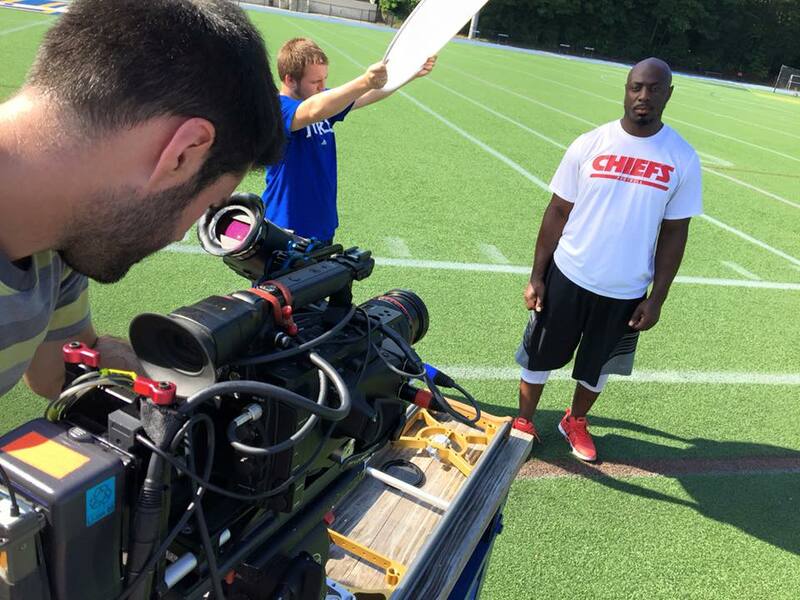 They began a quest to create a short feature on football sack king for the Kansas City Chiefs, Justin Houston. The day began by eating donuts then quickly moved into gear when the crew could begin setting up the naturally sunlit interview. The crew set up silks to block the harsh sun and reflectors to redirect the energy bestowed upon us. It wasn’t too long before our set up was complete. “Alas! We’ve taken this once mundane field for football and have repurposed it into a most extravagant set, taming the rays of light that threatened us with harsh shadows,” Jeff proclaimed. “Jeff! I shall man the slider as none have before me!” exclaimed Dumville, as he pulled his hair back into a perfect man bun. 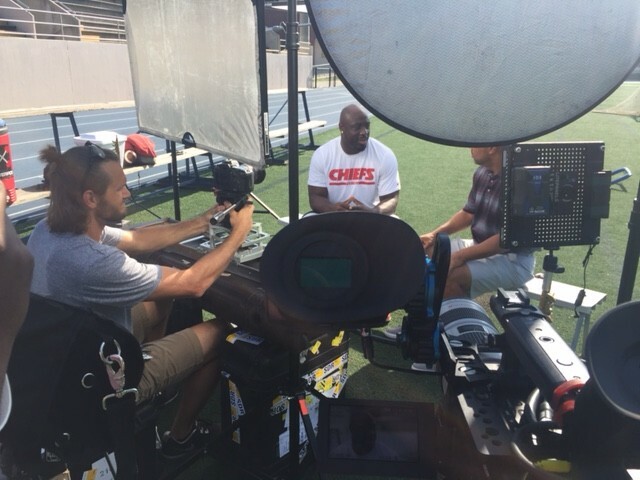 The interview went as planned and some slow-mo shots were next. The crew directed and molded the shots to portray the true art of the camera whilst showing the ferocity and football knowledge of the player. Mr. Houston showed the prowess of a true sack champion as he demonstrated the basic moves of besting ones opponent. The time for running and shoving was over as the crew hastily changed to beauty shots of the subject. Our hero was even able to enlist the aid of a most wide-eyed onlooker to “hollywood” a silk. The day was done, the footage was transferred and the client was happy, all thanks to the efforts of the amazing (and handsome) crew.